Asdrubal Jose Cabrera, one of the famous professional baseball player is popularly named as Asdrubal Cabrera who plays for Philadelphia Phillies of Major League Baseball. He is well known Venezuelan celebrity. He is famous for contribution to professional life. Previously, he played for Cleveland Indians, Washington Nationals, Tampa Bay Rays and many more. Currently, he is playing in the Philadelphia Phillies Team. He is best in bats at switch position and throws in the right position. He is a very talented baseball player. 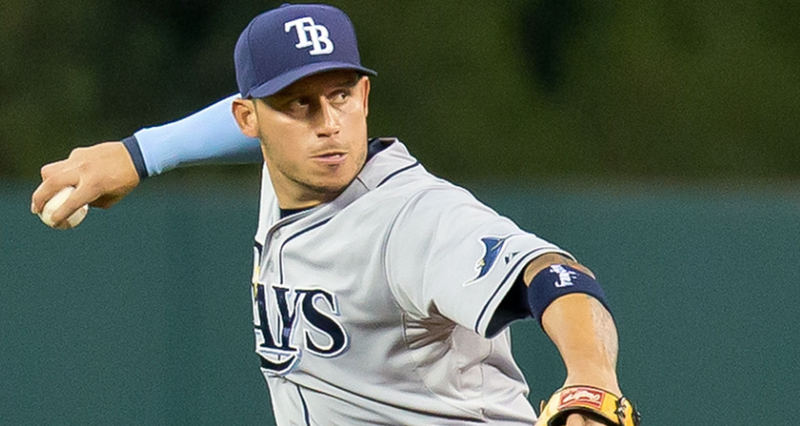 Passionate and enthusiastic baseball player, Cabrera was born on 13th November 1985. He was born and raised in Puerto la Cruz, the city of Venezuela. His full name is Asdrubal Jose Cabrera. He is the son of Asdrubal, a truck driver and Zunilde, a homemaker. His nationality is Venezuelan. His astrological sign is Scorpio. At the very small age of three, he began his career with baseball. Cabrera has got a great personality. Talking about his body, his height is 1.83 m. His weight is of 93 Kg. He has a balanced body with good health. He has an attractive body figure. His smiling face and charming personality have helped him to gain the attention of all the viewers. After playing for Seattle Mariners from the year 2002, he was acquired by the Cleveland Indians on June 30, 2006, and spent the remainder of the 2006 season in this team. Then, he started 2007 at Double-A with the Akron Aeros and was named to the Eastern League mid-season All-Star team. He was promoted on August 7. He made his major league debut on August 8, 2007, against the White Sox. He wears a white beaded necklace given by his wife for good luck. That's why many people nicknamed as "Pearls". 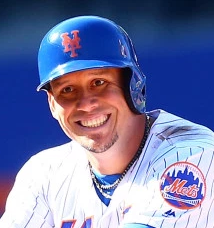 He became the first baseball player named Asdrubal to ever compete in the American League Championship Series in the year of 2007. Cabrera turned the 14th unassisted triple play in MLB history against the Toronto Blue Jays on 12th May 2008. On July 15, 2010, he began his stint with the AA Akron Aeros for more rehab work in his recovery from a broken left forearm and was listed in the disabled list on 20th July. Cabrera hit 25 home runs and drove in 92 RBIs in the year of 2011. He was also named the team's Man of the Year by the Cleveland Chapter of the Baseball Writers' Association of America which was his greatest achievement. Later, Cabrera signed a one-year million deal in a transfer fee of $4.55 million with the Indians on 10th February 2012. Cabrera strained his right quadriceps while running to first base on the date of 3rd June 2013. The match was running against New York Yankees. The Indians traded Cabrera to the Washington Nationals in 31st July 2014. Again he signed with Tampa Bay Rays for one year contract with a fee of $7.5 Million. He gave his fantastic performance for this team. He signed a two-year, $18 Million contract with the New York Mets on 10th December 2015. Cabrera strained the patellar tendon in his left knee on 31st July 2016 and he was kept in the disabled list on 2nd August. Cabrera was traded to the Philadelphia Phillies on 27th July 2018 and made his team debut against Cincinnati Reds. He is currently playing for this team actively. Cabrera is a married man with Lismar, his school girlfriend. They married in the year 2007. They seem to be very happy with each other. The couple makes public appearances together often. There is no any sign of Separation between them. They are living peacefully. The couple is blessed with a son named Meyer and a daughter named Ashley. The net worth of Cabrera is estimated to have $10 million as of 2018 with all of his properties and incomes. He is receiving an annual salary of $8,250,000 from his present club. This excellent player makes good money from his work. He is satisfied with his earning.